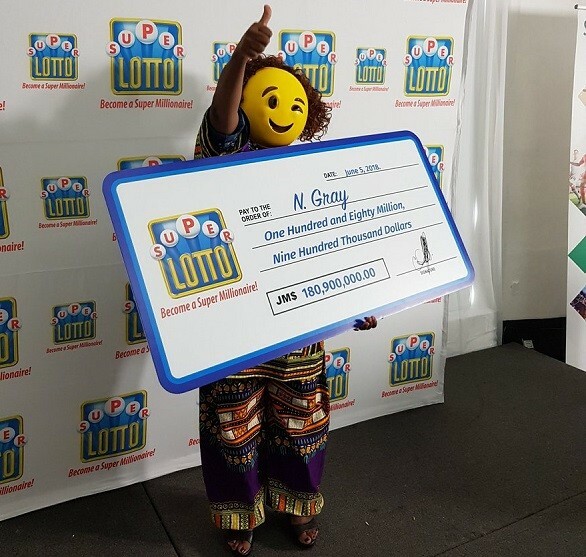 A woman who won a huge sum of $ 180,900,000 in a Super Lotto draw on May 11, has been praised for hiding her identity when she appeared to claim her price. A winner of a Jamaican lottery could not stop smiling and winking as she pocketed a little over $ 180 million in Jamaican dollars (£ 1 million). 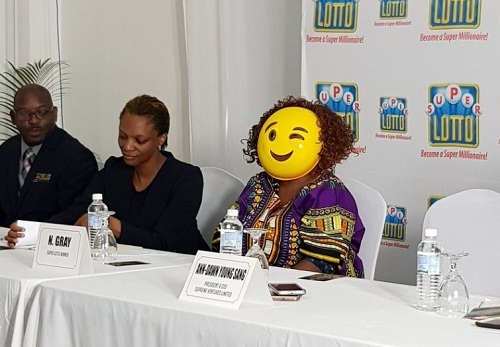 Known only as N. Gray, the woman wore a striking blinking emoji mask while collecting the $ 180,900,000 prize won in the Venture Super Lotto Lotto draw. Simone Clarke-Cooper, assistant vice president of corporate communications for the group, told correspondents that previous winners have resorted to disguises to protect themselves. "Unfortunately, Jamaica is not like other markets," he said. "In other markets, they do not necessarily do it, but here I think they choose to do it to stay safe. "We're not going to tell them not to do that because their safety is also of the utmost importance to us." 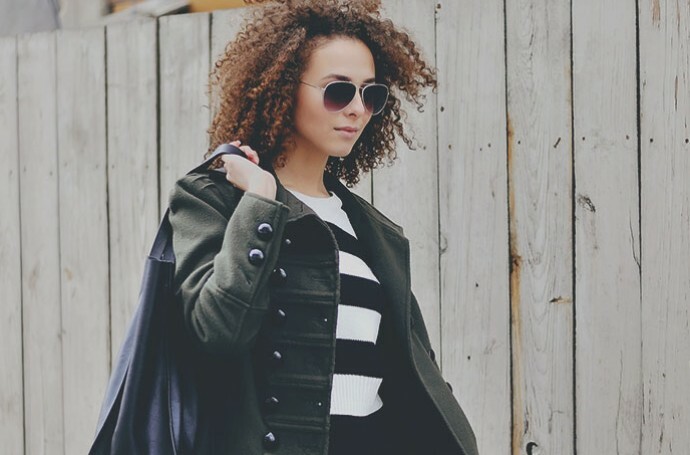 She added: "People come with their own disguises. "In general, they do not need our help, and they tend to be very creative, maybe beyond anything we can think or imagine, and it has been very effective over the years." It is reported that Ms. Gray plans to invest in a community center after liquidating her debts. She said: "I'm euphoric, because I was drowning in debt, I started buying Super Lotto in January ... Now that I've won, I want to liquidate my debt, invest and I want to travel. "I would like to build a community center for the youth in my community, so they can participate in something productive, somewhere where they can do information technology."